Can we talk about how great Interweave Crochet has been lately? Editor Sara Dudek has really come into her own modern and decidedly un-frumpy style, packing each issue with intriguing stitches, fascinating stories, and lots of crochet fun. The Spring 2019 issue just continues to raise the bar, with gorgeous garment and accessory crochet patterns inspired by undersea life and world travel that you’ll be itching to get on the hook! As Interweave’s yarn and fiber social media manager, I check in a few weeks after every issue goes live to find out what’s resonating with crocheters like you. This time, I was pleasantly surprised to see that, for the most part, your favorites and my favorites totally overlap. Here are the four crochet patterns generating the most buzz on Ravelry, plus one that I think hasn’t gotten as much love as it deserves. Did your favorite from the issue make the cut? Leading the pack so far is the simple yet evocative Vilnis Top from the Mystical Mermaid story. ‘Vilnis’ is a Latvian word for “wave,” and it’s easy to see why we chose the name for this top. Short-rows create lovely asymmetrical lines and a waving stitch pattern that is aquatic without being obvious about it. Plus, this design features a boxy silhouette that flatters every figure. Channel your inner mer-person and start this cute crochet top pattern today! Treat yourself to a few skeins of Knit Picks Hawthorne Tonal Hand Paint (affiliate link), like Linda used in her sample, for a truly nautical look. 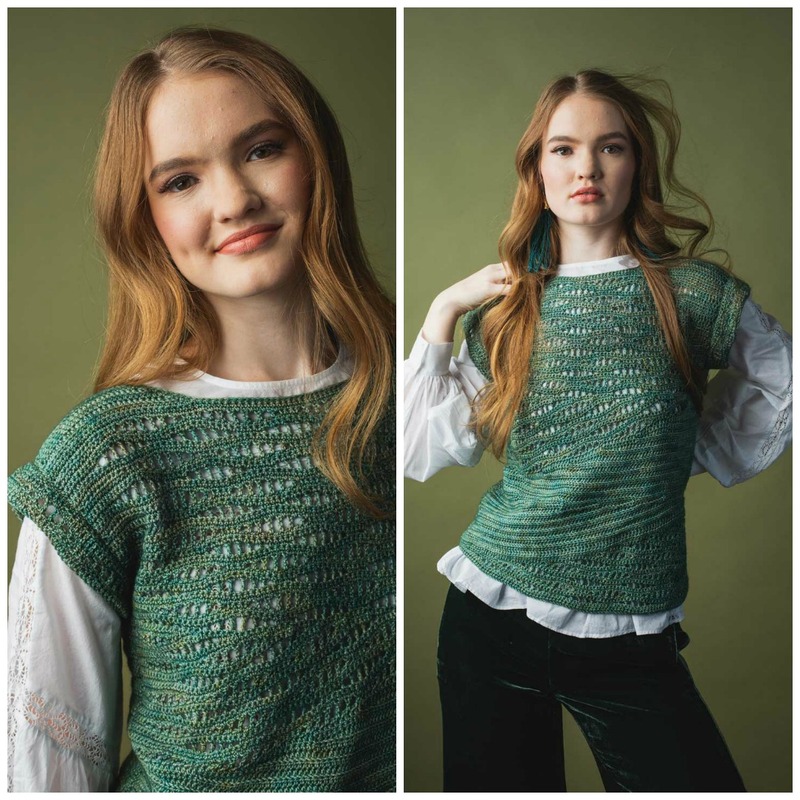 Natasha Robarge is back with another instant classic in the Ferro Duster from the Globe-Trotting story in Interweave Crochet Spring 2019. 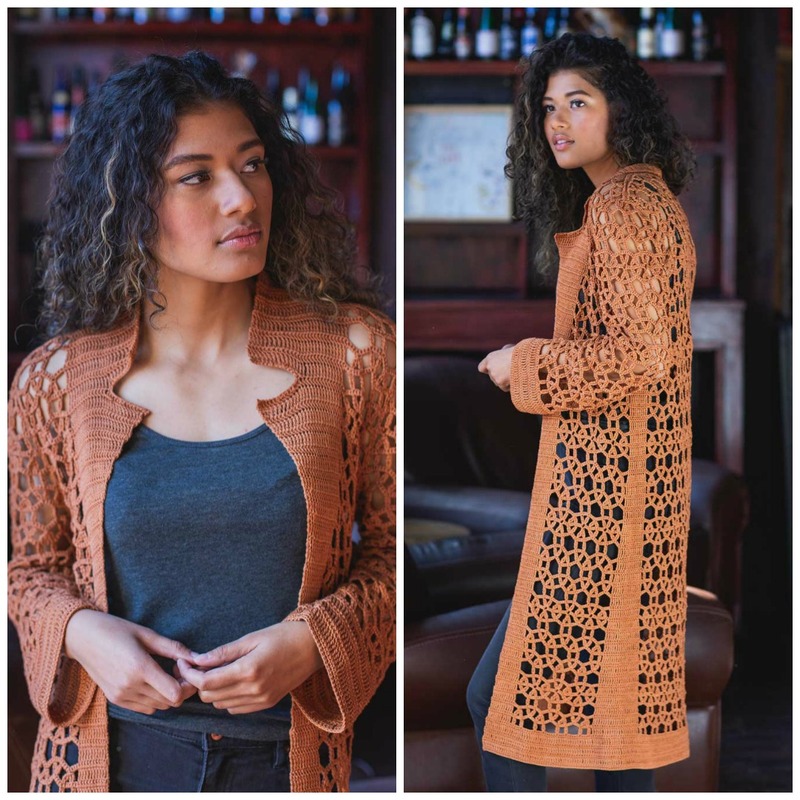 This long, dramatic cardigan crochet pattern is inspired by the curves and swirls of nineteenth-century wrought-iron architecture. It features intricate lace, a slim silhouette, and a versatile collar that you can style a few ways. The sample uses Omega Eulali, distributed by Creative Yarn Source. This 100% cotton yarn keeps this garment crisp and light for warmer weather. Don’t fear the lace—start your own version today! Unsurprisingly, our stunning cover project has been extremely popular on Ravelry. Take a closer look at all those mesmerizing circular motifs, joined together to create a piece of fabric that simply can’t be overlooked. Worked in Aunt Lydia’s size 10 crochet thread (affiliate link) on a 1.4mm hook, this crochet wrap pattern is not for the faint of heart, but the results are well worth it. You’ll finish up with a wrap that’s over six feet long, ready to wrap and layer to keep unpredictable spring weather at bay! 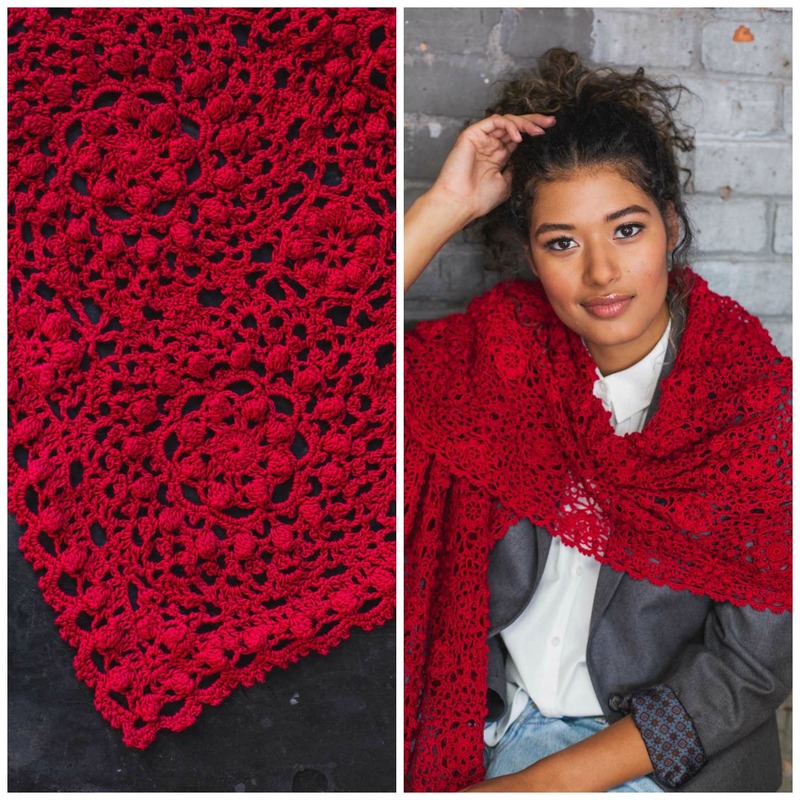 If epic crochet patterns don’t daunt you, this is definitely one to add to your queue. This lovely and unusual necklace is the centerpiece of the Mystical Mermaid story, perfectly mimicking the undulating shapes of undersea flora. Julie is a fiber artist whose work explores the ability of freestyle crochet to create beautiful natural motifs. 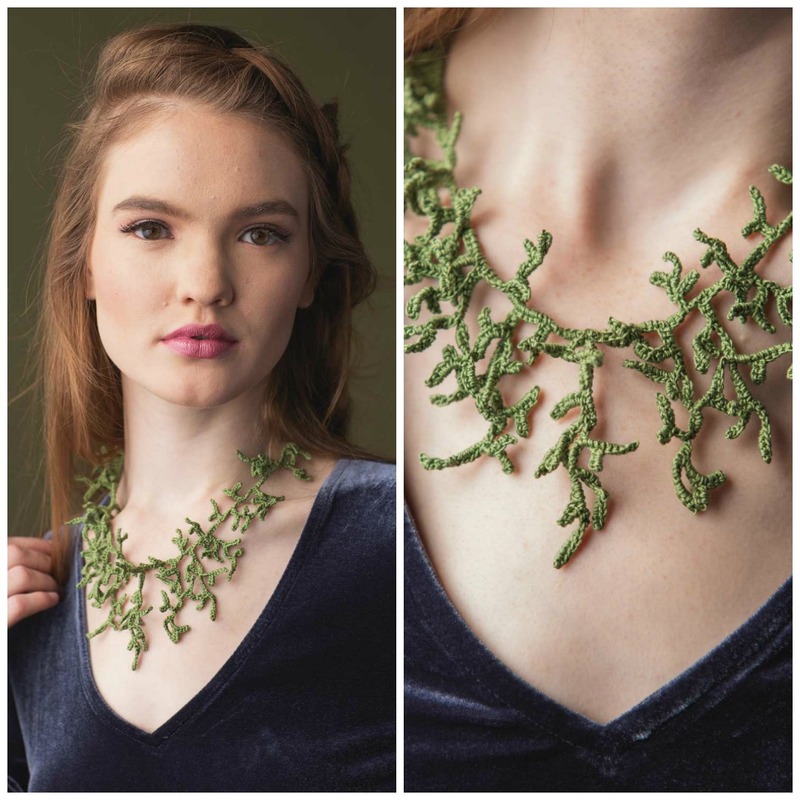 To create the kelp-like tendrils falling from the necklace, she used a unique tatting-like technique that you’ll love learning. This sample uses Handy Hands Lizbeth Size 10 100% Egyptian cotton thread (affiliate link), but you could use any size 10 thread from your stash that calls to mind the colors and textures of the ocean! If you want to know which of these crochet patterns this social media manger simply can’t wait to start, allow me to direct your attention to the utterly charming Campo Vest. 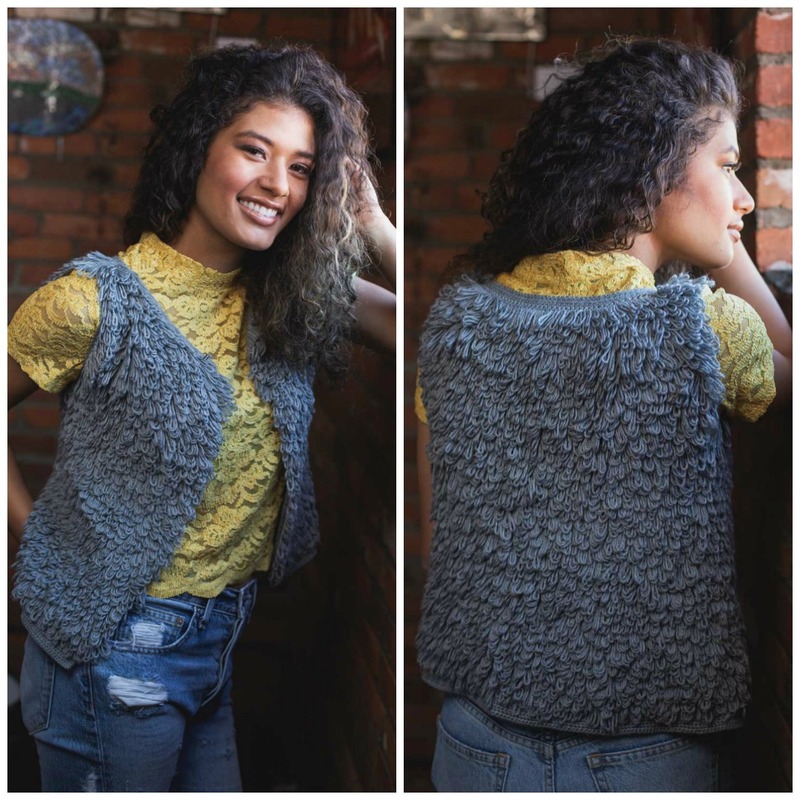 I’m totally obsessed with texture after the focus on bobbles, puffs, and popcorns in the Winter 2019 issue, and this vest pattern promises to add a new textural stitch to my repertoire: loop stitch! I’ve heard it’s a little bit time consuming to create all those lovely loops, but I am determined to get that faux fur goodness on my hook. Imagine the warmth trapped in all those loopy air pockets, stitched in Valley Yarns Charlemont (affiliate link), under your favorite spring jacket. Yes please! If I’m being honest, all five of these crochet patterns made it straight to my personal queue. Do you suffer from the same rampant queue-bloat every time a new issue comes out? Blame Sara Dudek and all the wonderfully creative designers who contributed their skills to this very special issue! 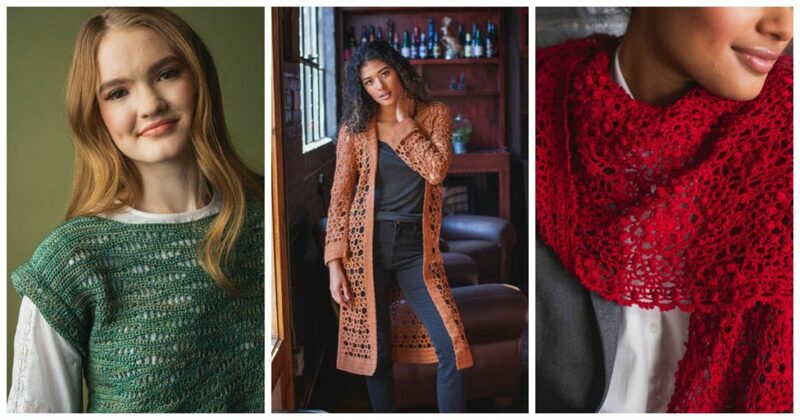 Let me know in the comments—which project from Interweave Crochet Spring 2019 are you starting first? Cast off for crochet inspiration!